The perfect partner to any of the beds from the JCB or JCB Muddy Friends collections, the JCB Bedside is a delightful bedside table that blends in perfectly with the rest of the aforementioned collections, all whilst accommodating all manners of bedside possessions. Small but mighty, the JCB Bedside is both charming and durable. Two separate shelving areas offer children plenty of space to keep their possessions safe and close to hand. The JCB Bedside is clad with the distinctive JCB yellow as well as notes of white, making it adaptable to a variety of children's bedrooms. Crafted using quality materials and adhering to a sublimely simplistic design, the JCB Bedside doesn't require any external tools, glue or screws to be constructed. The assembly process is incredibly simple, with each piece only needing to be slotted together. 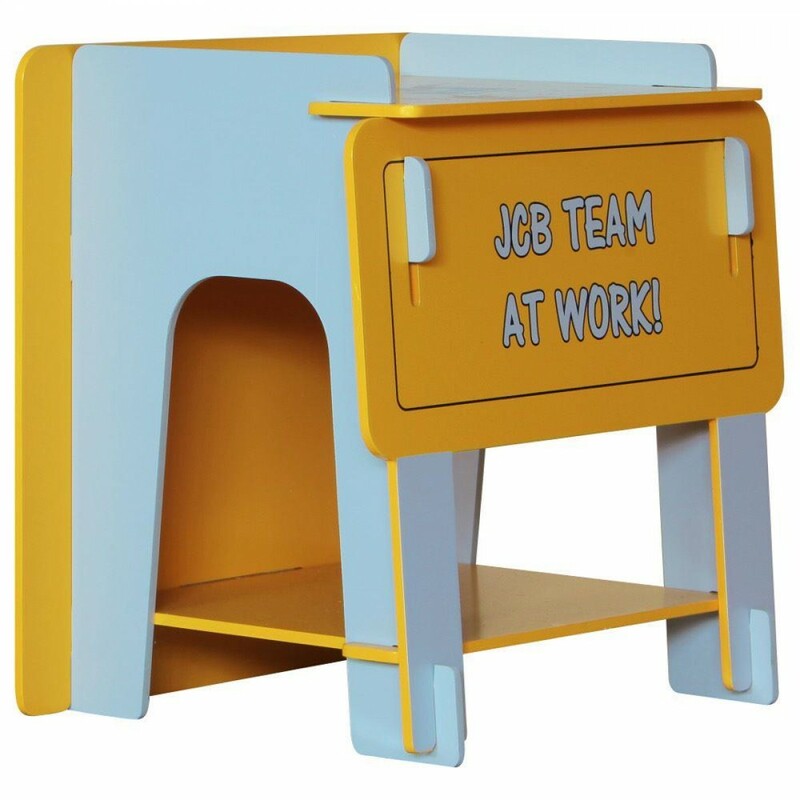 The JCB Yellow Bedside Table is part of the JCB Yellow Children's Wooden Bedroom Furniture Collection.